Tear up the ice with "The Great One", and experience lightning-fast skating, blistering one-timers and hard-hitting body checks! Hammer the puck and rip the net... with the world's best! NHLPA and NHL license means real players, team names, logos, and uniforms. Includes all 26 teams, each with 17 available players in their actual NHL lines. Real-time rendered 3D environment with 7 user-selectable cameras allowing players to view the action from all possible angles. 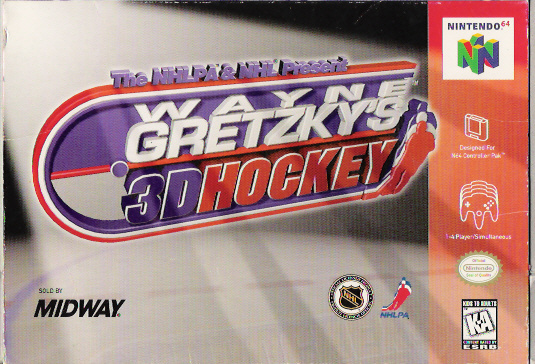 Wayne's hockey strategies, skating moves and logic are incorporated into the AI engine.